It’s summer! And in celebration, the Fit Bottomed Girls have collected the best upbeat songs of this time of year for one heck of a summer playlist. Many of the songs are throwbacks from our childhood and teenage years, so some nostalgia is in here, but the playlist was created to get you moving—no porch-sitting reminiscing allowed! If you’re looking to mix up your workout a bit, we’ve listed suggestions next to each song on how to modify and change your intensity. You can do this workout in the gym on a treadmill, elliptical, bike or any other piece of cardio equipment where you can modify your speed, resistance or intensity. However, this playlist works really well outside, so I encourage you to hit your local park or neighborhood for some summertime outdoor fun. We’ve based the below workout’s intensity on the Rate of Perceived Exertion (RPE) scale, which basically just puts a number value on how hard you feel you’re working. The scale ranges from 6 to 20. A 6 is a nap, a 9 is a casual stroll, a 13 is where you start having problems talking without huffing and puffing, a 19 is the hardest thing you’ve ever done in your life, and a 20 is what you feel like just before you pass out. Notice that you don’t see anything above 18 on the list below. Again, the FBGs believe exercise should be fun—not painful. For more information on the scale, read the post below or click here for the super scientific description. 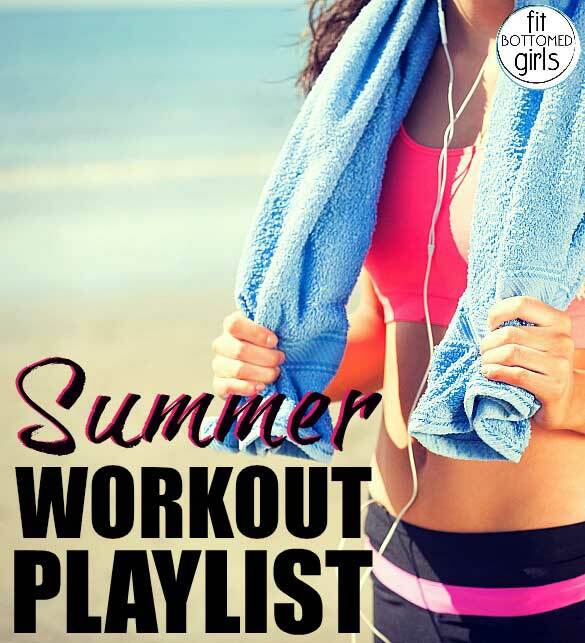 Otherwise, enjoy your summer workout playlist! Summertime, DJ Jazzy Jeff & the Fresh Prince: Light walking, RPE 9. (4:13) Summer Love, JT: Steady state fast walking/light jogging at RPE 10 working up to RPE 11. (3:34) Summer of ’69, Bryan Adams: Stay at RPE 11, picking up your pace every time Bryan croons “Summer of ’69” for 30 seconds and then returning back to RPE 11. (2:24) Blister in the Sun, Violent Femmes: Pick up the pace again, fast walking or running at RPE 15, feel the wind in your hair and face while you whiz by. (4:02) So Fresh and So Clean, Outkast: Recovery song, slow your pace back to RPE 11. (3:34) Summer Nights, Grease Soundtrack: Pick up your pace slowly throughout the song, ending at RPE 13, saving the energy to giggle at Travolta’s “oh” at the end of the song. (4:48) Boys of Summer, Don Henley: Maintain RPE 13, pushing to a 15 when the refrain kicks in (“I can see you, your brown skin shining in the sun…”) and back to RPE 13 for the verses. (4:12) Doin’ Time, Sublime: Slow your pace back to RPE 11, recover before your last big push. (3:44) How Bizarre, OMC: Continue with RPE 11, picking the pace up each time you hear the phrase, “How Bizarre.” By the end of the song you should be walking as fast as you can or sprinting. (3:38) Kokomo, Beach Boys: Light jogging or walking, slow your pace to RPE of 9. Pat yourself on the back for a summer workout well done!